Adapting Michael Lewis’ Moneyball: The Art of Winning an Unfair Game has always seemed like a strange proposition. The 2003 non-fiction book takes a clinical approach to the statistical methods used by Billy Beane as general manager of the Oakland A’s during the 2002 season. It also presents the history of this much-different method for evaluating talent in major league baseball. This seems like fodder for a great documentary but awkward material for a dramatic story. How could a movie present this dense material and interest general audiences? Steven Soderbergh was originally attached to the production but left over creative differences. Bennett Miller (Capote) ended up directing the film, and Aaron Sorkin (The Social Network) and Stephen Zallian (Schindler’s List) wrote the script. With this kind of pedigree involved, the movie version of Moneyball has just the right creative minds needed to bypass those obstacles. Sorkin in particular has shown an ability to translate complex material into a relatable product, so his participation is crucial to its success. Brad Pitt stars as Beane, who’s recovering from losing his top three players to the big-spending teams. Oakland has a minimal payroll and can’t compete on the free-agent market with the wealthy clubs. Looking for a new way to scout players, he recruits numbers guru Peter Brand (Jonah Hill) to devise a new evaluation system. The old-time scouts are skeptical and believe you can’t quantify baseball success, but Beane has personal reasons to think otherwise. His frustrations from decisions he made as a top baseball prospect still haunt him today. This personal side of the story is the master stroke in Sorkin and Zallian’s screenplay, which shifts the focus to Beane. Instead of providing intricate details on Sabermetrics, they make it a redemptive personal story. Like Mark Zuckerberg, Beane is sticking his neck out and will ride out the string, regardless of the consequences. 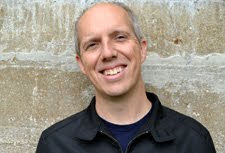 His approach is much different than the Facebook founder, but their inventive tactics are relatable. Miller’s direction makes the point about Beane’s past without overplaying the connection. Pitt also shines by making his skepticism of the scouts clear in subtle fashion. They craft a mainstream crowd pleaser without catering to the lowest common denominator. Moneyball is a film about baseball and should please fans interested in the stats, but it never delves too far into the approach. Brand explains the system and touts a few players they should grab, and that’s enough information. Jonah Hill received a supporting actor Oscar nomination for this role as the brains behind the operation. It’s a pretty standard performance that might not deserve this much recognition, but he still does an excellent job. Pitt and Hill work together really well and find ways to inject a lot of humor into even some mundane moments. When they pull off a complex trade with a series of phone calls, their glee is infectious because we’re on board with the actors. Pitt has rarely looked so effortless on screen and deserves all the recognition. It’s one of his best roles because he doesn’t turn Beane into a saint. He’s a neurotic, superstitious guy who refuses to watch the game and avoids interacting with players. This isn’t the type of role you’d expect Pitt to play, but it works because of his understated approach. The story focuses on the 2002 season, which begins terribly and raises major questions about Beane’s sanity. Manager Art Howe (Phillip Seymour Hoffman) isn’t on board with the system and places road blocks at every turn. New players like Jeremy Giambi reveal negatives that likely prove the scouts’ assessments about them. It takes serious commitment for Beane to keep his faith in Sabermetrics. Knowledgeable viewers today know the end to this story, but there’s still a good deal of tension surrounding the early failures. Hoffman doesn’t get much to do beyond antagonizing Beane, but he sells the role of the grizzled veteran manager. He senses the ship is sinking and acts for his own personal interests. It’s pretty much a thankless performance for the veteran, but he doesn’t phone in the role. This is Pitt’s movie and Beane is driving the story, so Howe just plays a small part. There are recognizable players like David Justice and Scott Hatteberg involved, and the actors playing them are believable. However, these guys are more representative of the types of players valued in this system, not completely original characters. 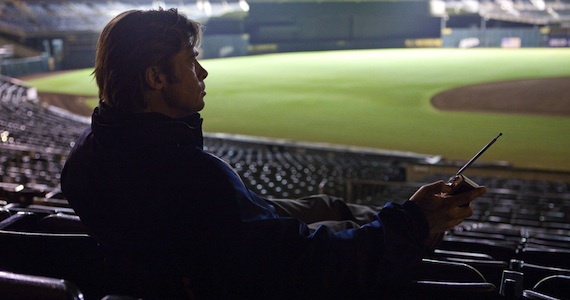 Moneyball is top-notch commercial filmmaking that doesn’t receive enough credit because of its flawless execution. Pitt makes playing Beane look easy, and his chemistry with Hill also feels effortless. It takes some major creativity from Miller, Sorkin, and Zallian to make the story flow so well. A possibly dull subject is exciting for more than two hours, which is a major achievement. Another smart move is focusing on Beane’s relationship with his daughter. These scenes reveal a different side of his character, and work because they’re not overly emotional. The final scene of him driving as her song plays in the background is sentimental, but in the best way possible. I was fighting back a few tears at the end. This powerful effect is a testament to my connection with the characters and the underdog story. The result is one of the bigger surprises of the past year. It may not feel quite like the classic baseball movie others have achieved, but it’s certainly pleasant enough to be enjoyable even by non-sports fan, and features great performances from Hill and Pitt. Good review Dan. Thanks Dan! I'm a sports fan, but I agree that Moneyball's a movie that could be enjoyed even if you're not that into sports. I think I'm too much of a baseball nerd to enjoy it. "What? He flew to Cleveland just to talk about trades? That's a phone call at most!"... "Nobody would get that crazy about a lefty specialist like Ricardo Rincon"... "Carlos Peña was nowhere near that hot of a commodity"... "No GM would dump off a player just to spite his manager"... and so on and so forth. I liked it, I enjoyed it, I don't particularly think it belonged in the Oscar conversation, and there were just enough incorrect baseball facts to drive me a little crazy. I was wondering about some of the facts after watching Moneyball, so I re-read the book last week. It's true that they stretch some things for dramatic purposes, but I was surprised that certain scenes actually closely mirrored what's in the book. There's a whole chapter that goes into the Rincon trade in particular, including Billy offering up his own money to finalize it. Assuming what Lewis wrote is accurate, that scene fits the actual events. That said, I do see your point about the overall story, which ignores the three big pitchers that really helped to drive that season. For the Oscars, I didn't have a problem with the Best Picture or Best Actor nomination. I liked Hill's performance, but there were better roles out there for that award that weren't recognized. I didn't have complaints about the movie. I thought it did a decent job of translating the non-fiction book into a fictional movie. I enjoyed it well enough (3 stars out of 5), but I wasn't "wow"ed by it. Chip, I've heard this reaction pretty frequently to Moneyball, and it's understandable. It's shot in a straightforward way and tells a pretty direct story. What drew me beyond just thinking of it as a three-star movie was the characters. I was really surprised by how much I connected with them, and that made the difference for me. Thanks!